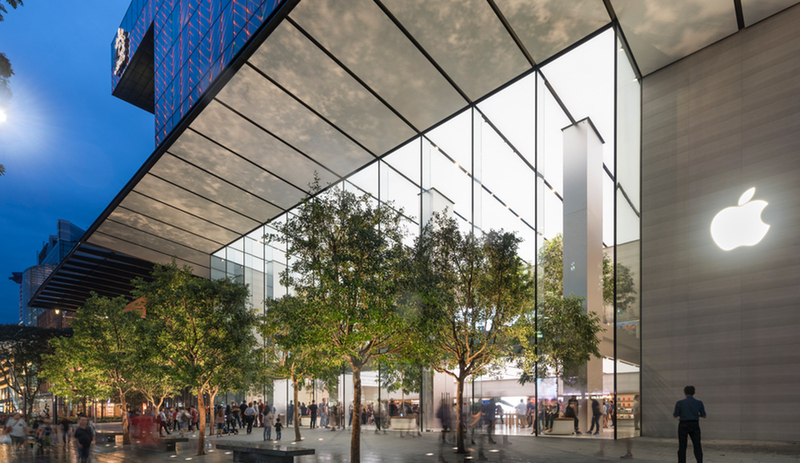 London-based architecture firm Foster+Partners has become Apple’s trusted architectural partner. 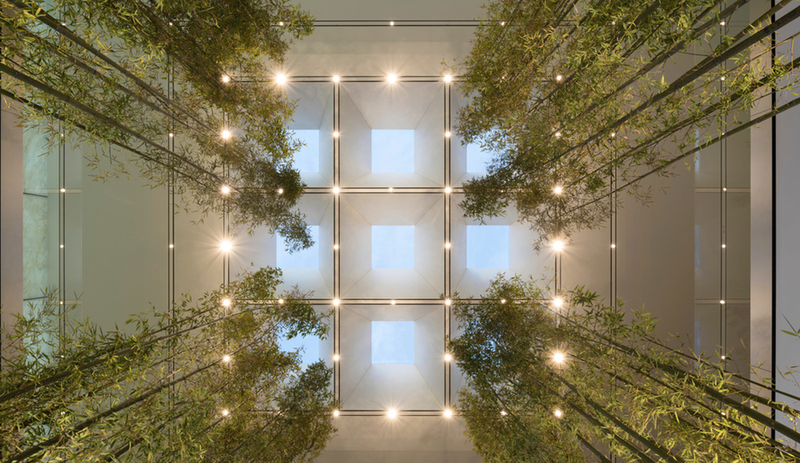 And its Apple Store designs have introduced eye-catching biophilic elements, swirling staircases and architectural features that could double as art installations. When it comes to Apple’s design, much of the praise belongs to Jony Ive. 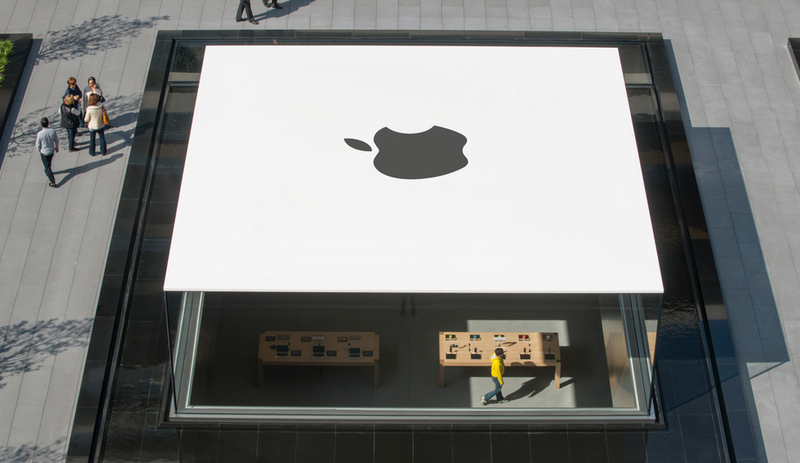 And deservedly so: the industrial designer has led the Cupertino company’s design team since 1996, overseeing everything from products to packaging. 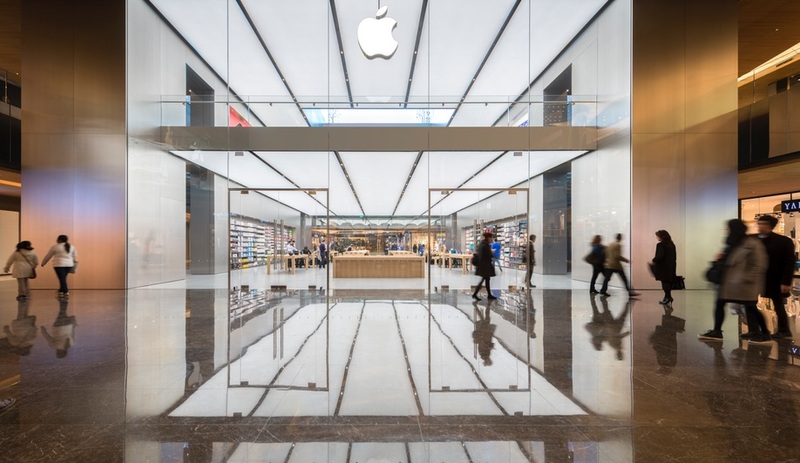 But when it comes to the brand’s famed Apple stores – which are first-line customer touchpoints and awe-inducing exercises in branding – Ive has a powerful ally in London-based Foster+Partners. 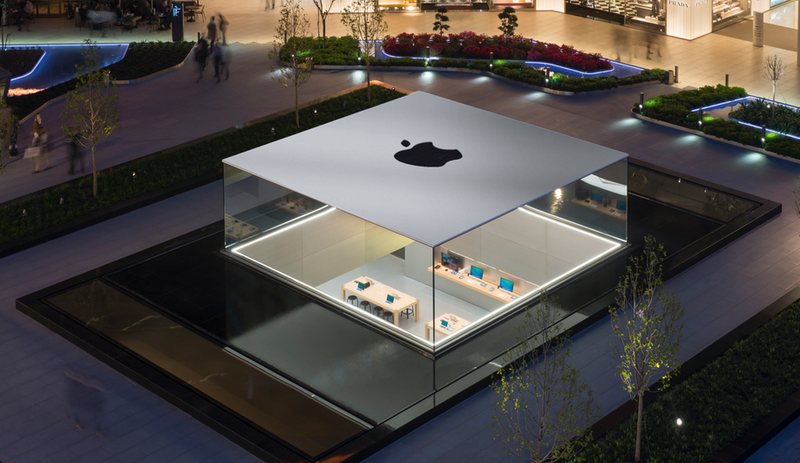 Since designing its first Apple Store in 2014, Foster+Partners has become a major partner. Last year, the firm unveiled the Apple Park campus to serious fanfare, both positive (which hailed the spaceship-like approach of its visitors centre) and negative (largely stemming from the fact that people kept on walking into its seamless glass walls, which… ouch). Along the way, the firm has also tweaked the Apple Store’s time-tested formula, taking a familiar format – Alvar Aalto stools, Knoll wallcoverings, tables by Fetzer Woodworking – and bringing it to new heights. Here’s a glimpse at some of its best work. 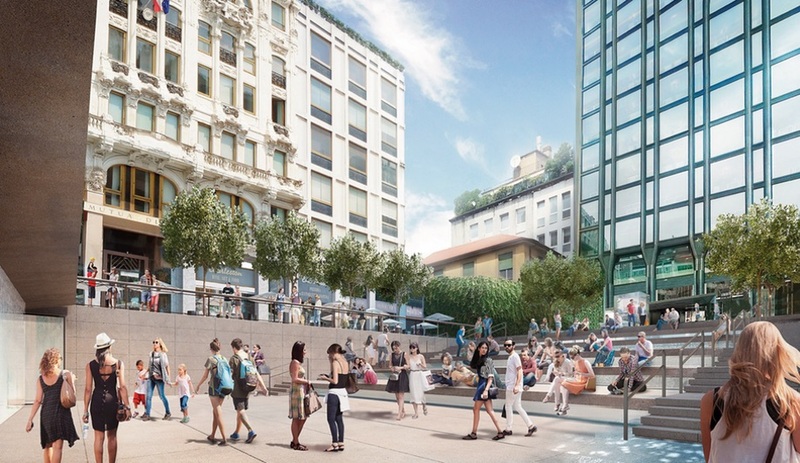 Milan’s Piazza Liberty Apple store opens in late July, and the brand is planning a splashy unveil, with 21 artists collaborating on a giant Macintosh-shaped mural. 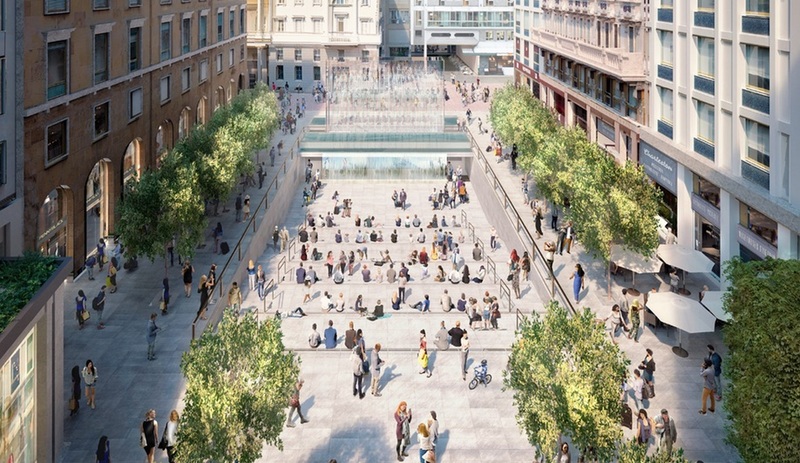 But the third Apple Store in Milan isn’t simply a retail space – Foster+Partners also added an amphitheatre, plaza and a dramatic water feature. Though images of the store’s interiors haven’t been released yet, renderings depict a fountain that separates into two separate waterfalls. Visitors descend beneath the water feature to enter the store via two glassy staircases. 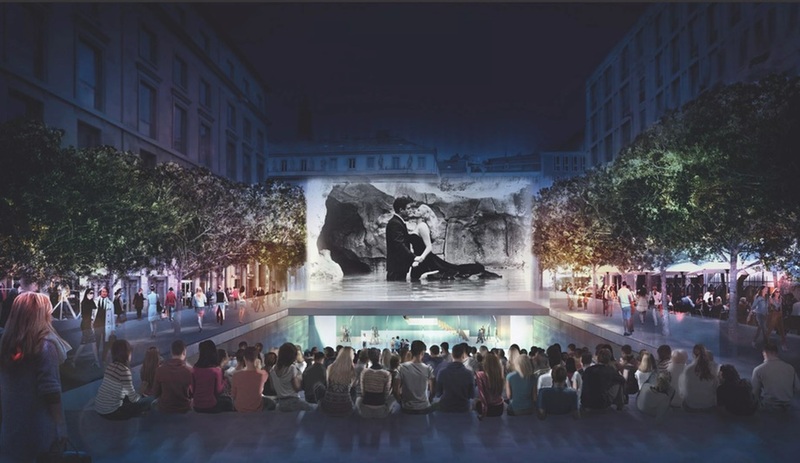 According to 9to5Mac, Piazza Liberty is inspired by Milan’s traditional public squares, although there’s a distinction to be made: Italy’s public squares aren’t typically funded by major brands – even if those brands provide summertime movie screenings. The store is slated to open on July 26. Foster+Partners’ second newest Apple Store – and one that has received plenty of attention – is in Macau, which recently received an eye-popping Zaha Hadid tower. 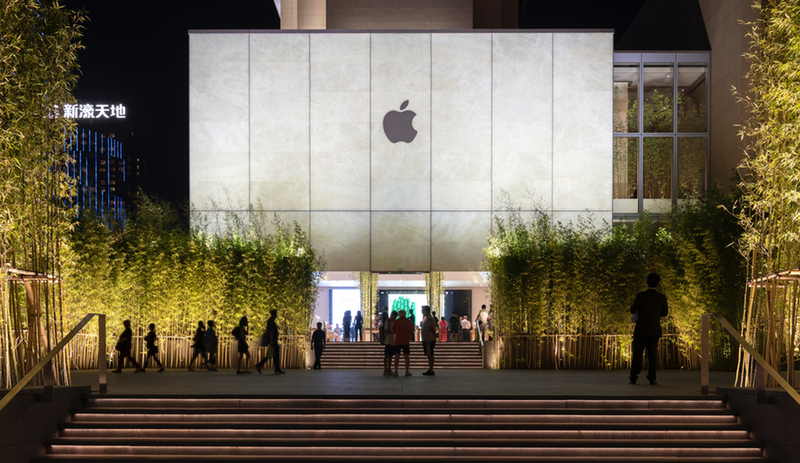 Though less ostentatious than ZHA’s Morpheus Hotel, Apple Sands Cotai is nonetheless stunning: from afar, the store appears to be a levitating paper cube. Foster+Partners used a glass-stone composite for the facade, resulting in a gentle translucency. Purity and simplicity were Foster+Partners’ stated goals for the store, but it’s not devoid of wow factor. 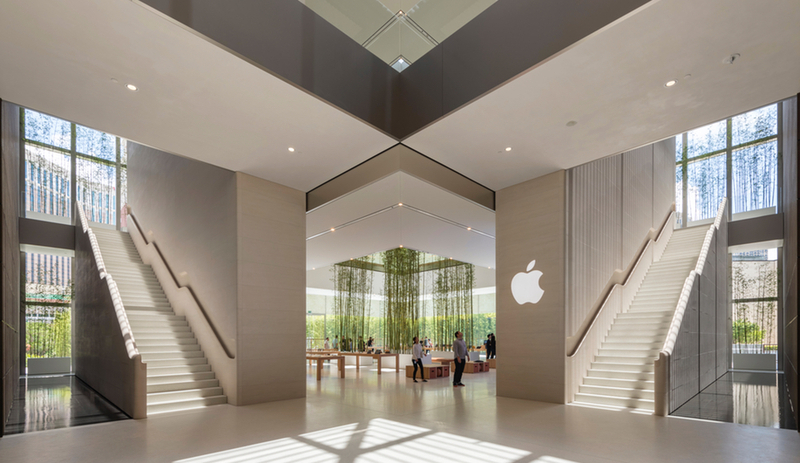 Twin hand-carved stone staircases – a motif used in a number of Apple stores – make an appearance here, but the space’s standout feature is an atrium defined by a bamboo grove that reaches up to the building’s second-storey skylight. Natural light is a defining feature – both levels are dappled with sunlight. 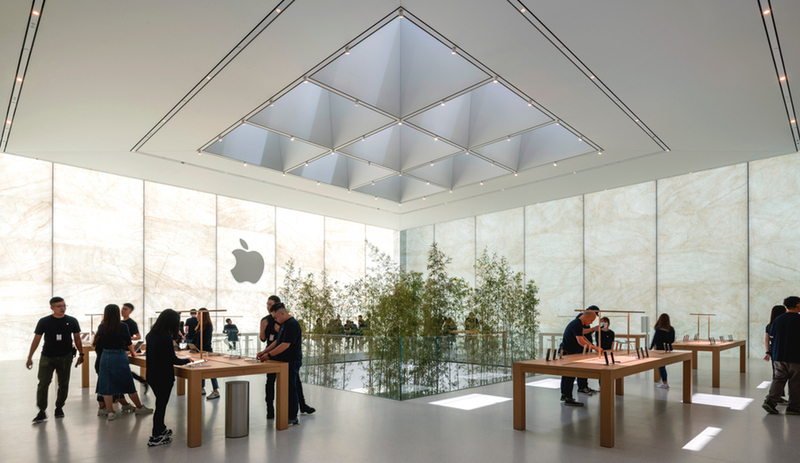 As is the case with most Apple Stores, though, visitors should know the drill: gadgets are showcased on the first floor, while service areas – and a floor-to-ceiling projection screen – are a trip up those hand-carved stairs. 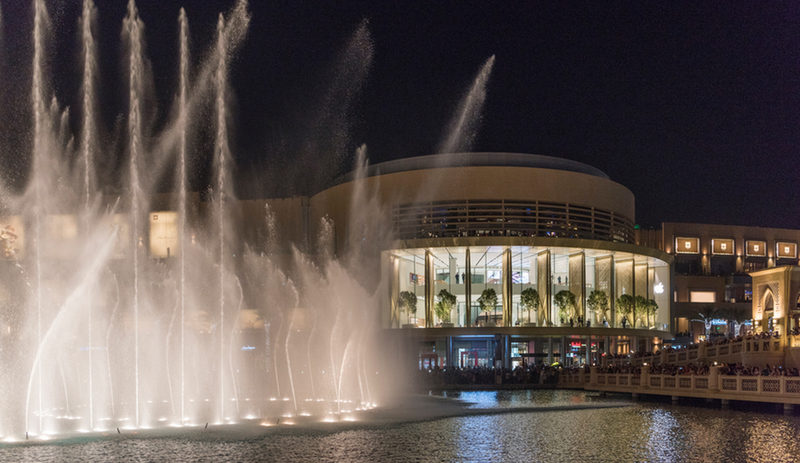 Last year, steps from Burj Khalifa and the dramatic Dubai fountain, Apple opened its UAE flagship. Working with a crescent-shaped plot, the firm created a glassy two-storey store that offers prime views of the nearby attractions – an inversion of traditional retail typology, which prioritizes showcasing a store’s contents. 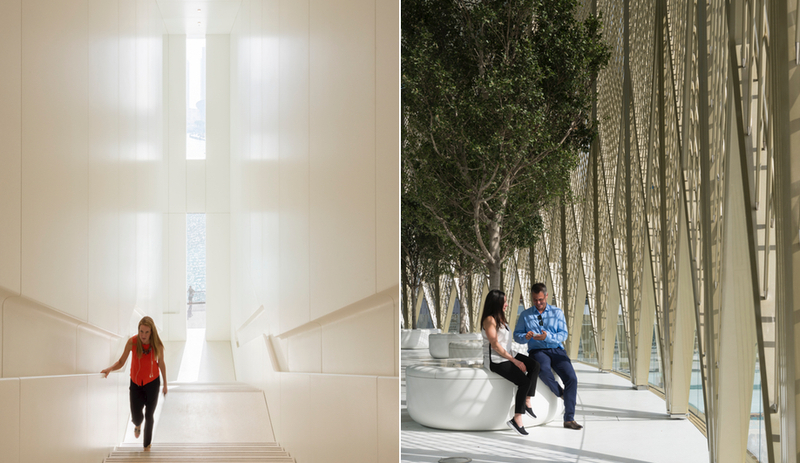 The Dubai Mall’s Apple Store is also crescent shaped, a departure from the brand’s typically boxy retail locations. The store is defined, at its ground level, by a 56.6-metre terrace. But Foster+Partners was also sensitive to the climate of Dubai; with this much glass, the store could quickly become scorching in the daytime. So the firm developed a set of mechanical shutters inspired by Arabic Mashrabiya, or wood latticework, that provides shade during the daytime but opens up at night. Constructed with a lattice of carbon-fibre tubes and made to emulate the wingspan of a falcon, these “solar wings” minimize heat gain and reduce air-conditioning costs. They also add yet another tourist-attracting feature to Dubai’s landscape. 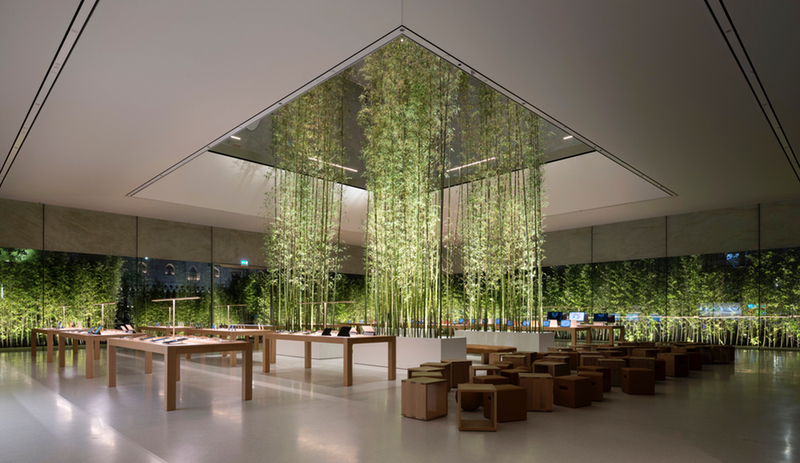 Spread out over 4,000 square metres, Singapore’s Orchard Road branch was the first Apple outpost in southeast Asia – and it’s also hailed as the greenest Apple Store in the world. The first thing visitors encounter is shade from Singapore’s tropical climate: Foster+Partners created a canopy of trees on the site’s generous sidewalk, which eventually gives way to a 25-foot cantilevered awning. 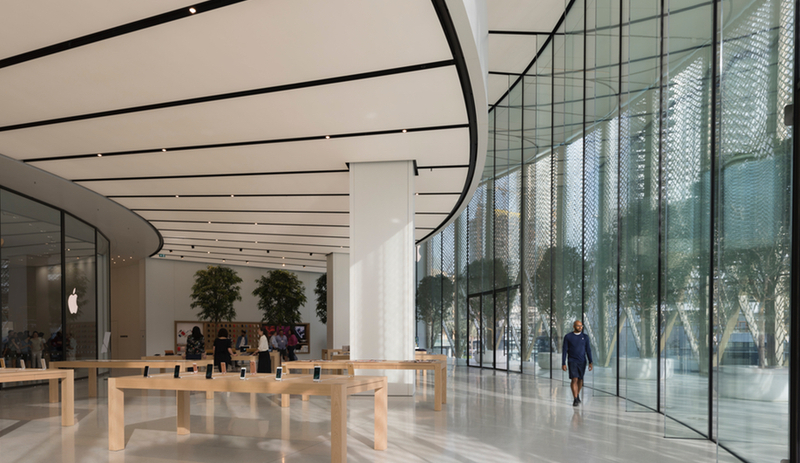 Inside, The Avenue, which houses the latest Apple tech, is bookended by two resplendent staircases made from hand-carved Castagna stone. 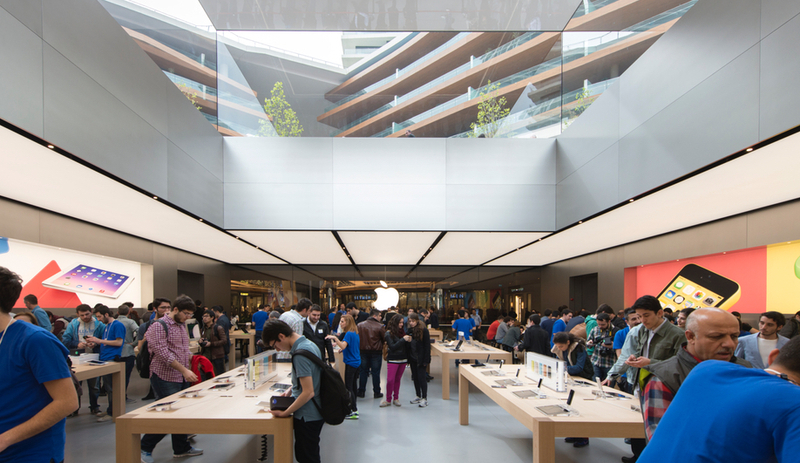 The second-storey mezzanine includes The Forum, an area dedicated to events, flanked by two Genius Bars, which provide customer service and tech support. But the central feature, here, is 12 Ficus Ali trees, a shady oasis that mirrors the canopy which lies beyond the windows. Unboxing, an act celebrated by tech YouTubers, was practically invented by Apple. The brand’s products are a joy to open, and the experience is such a priority that Apple reportedly has a full-time staffer dedicated to unboxing alone. It’s not the first time Foster+Partners developed a concept inspired by product design; in Chicago, the firm designed a roof that resembles the Macbook’s iconic clamshell form. In Istanbul, the firm transformed the “box” into a lantern – one assembled from four 10-metre rectangular glass panes and topped with a thin sliver of carbon fibre. It sits in a reflecting pool, making the feature appear to hover over the ground. Aside from serving as a beacon, the lantern has a practical purpose: it draws daylight into the two-level store below. 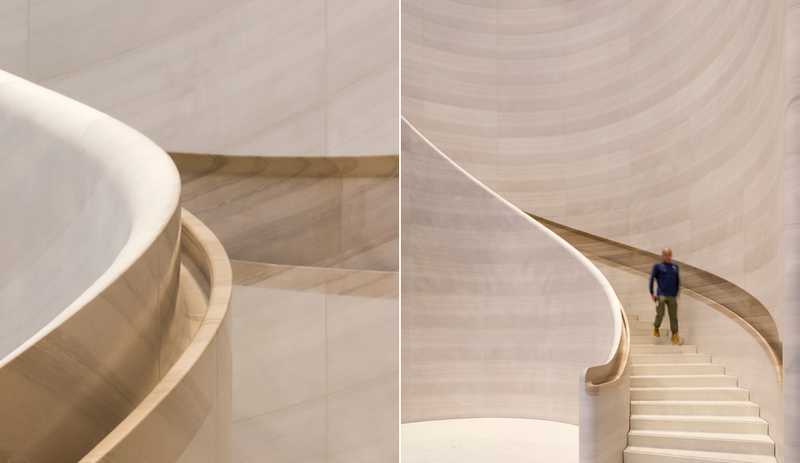 From the street, visitors descend down two staircases before reaching the store’s glazed-wall entrance – which, in continuing with the reflecting-pool motif, refracts off the Zorlu Centre’s polished marble floors. 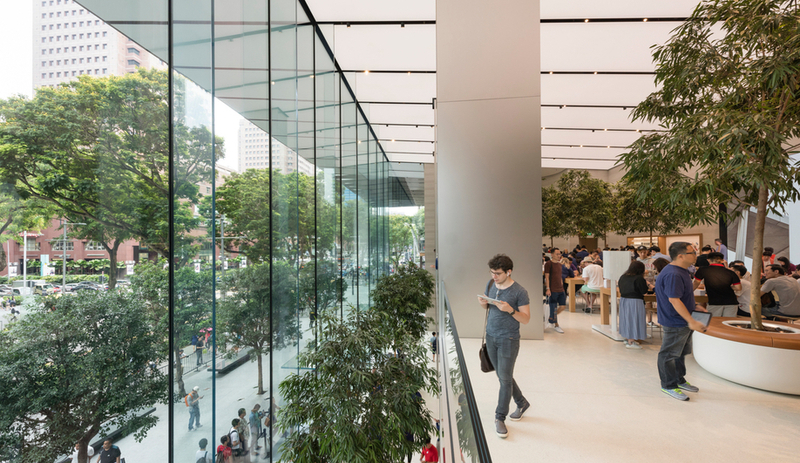 Made from nine-metre tall glass panes, the facade provides transparency for the store, which uses Apple’s familiar language: stainless-steel surfacing, wood tables and service areas on its second floor.